Awesome name and it would have been rude not to enter to see if this place lived up to a start such as that! The shop is downstairs in the basement and it really is quite a unique spot. 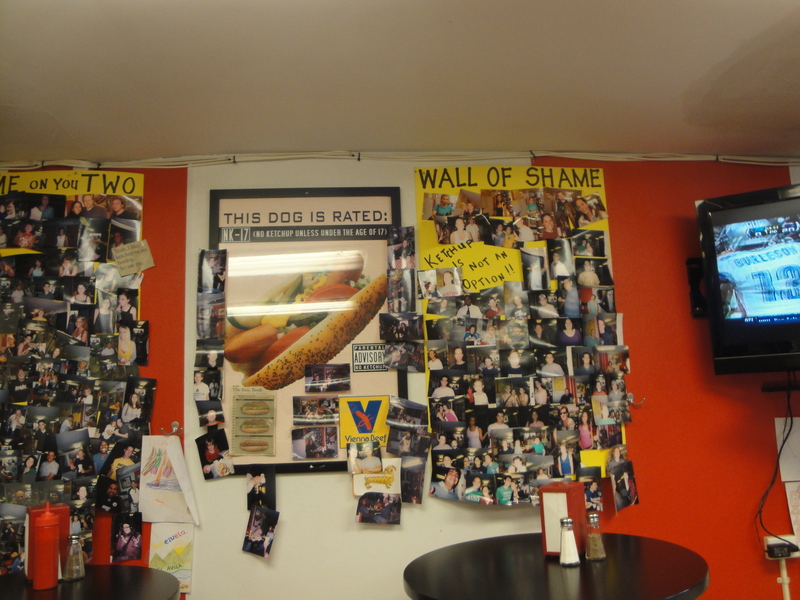 The walls are strewn with drawings from kids and big kids alike of their favourite hot dogs, and there is a great wall of photos, a wall of so-called shame for those who dared to ask for ketchup on their hotdogs, a Chicago no-no. The place is run by a very friendly woman who had plenty of time to chat, she made you feel as if you had just wandered into her front living room and was just going to fix you up a quick snack while you watched the telly. 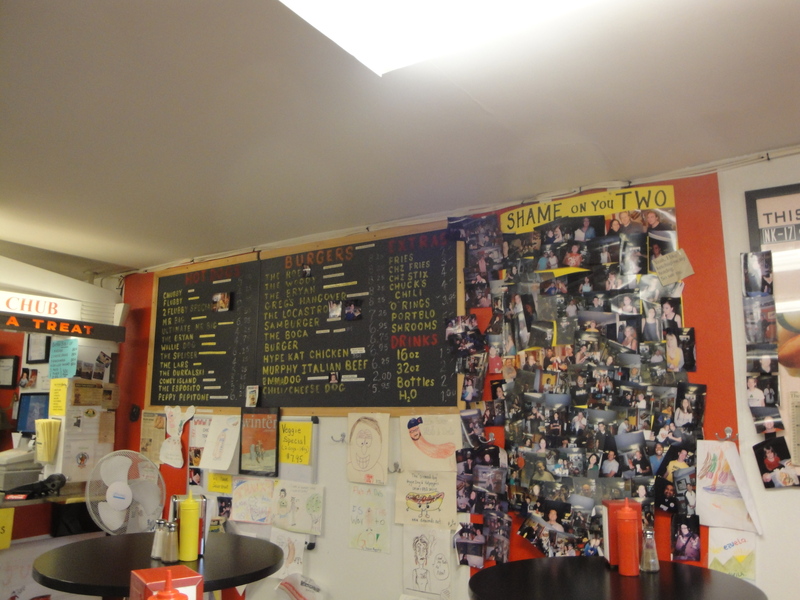 I fully intended to have a hot dog of some sort, however, everyone else was ordering burgers and they looked so good. 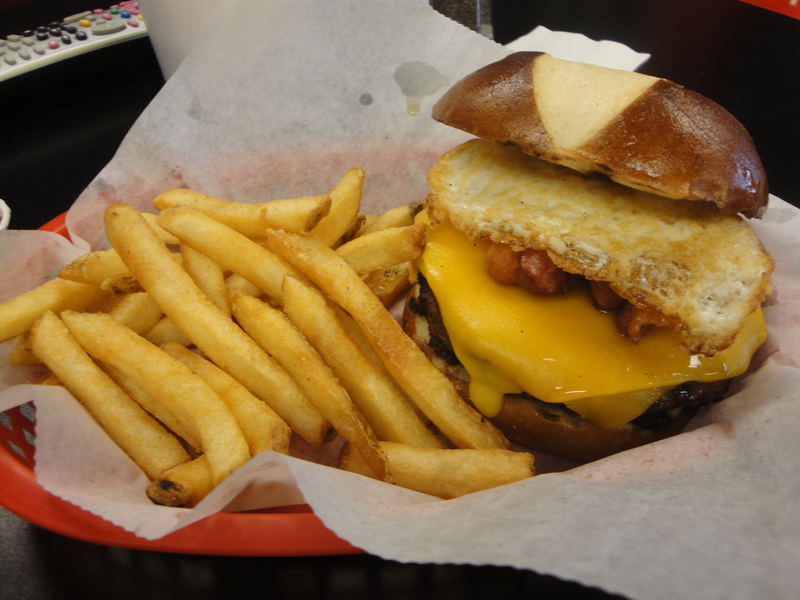 I was instantly drawn to the “Greg’s Hangover” burger, not because I had a hangover but it was the ‘fried egg’ that is just so irresistible to me, that I had to have it, it also came with cheese and bacon, fries and a drink, and I was all set. It was seriously tasty, I am not sure who Greg is, but I thank you sir from the bottom of my clogging arteries. Apart from the egg which when bit into oozes yummy yellow yolk all over the sandwich, there was a good pile of crispy bacon too. The pretzel bun turns it from a good into a really good sandwich. The fries were good too, freshly cooked and really didnt even need any ketchup to make them edible unlike many spots. 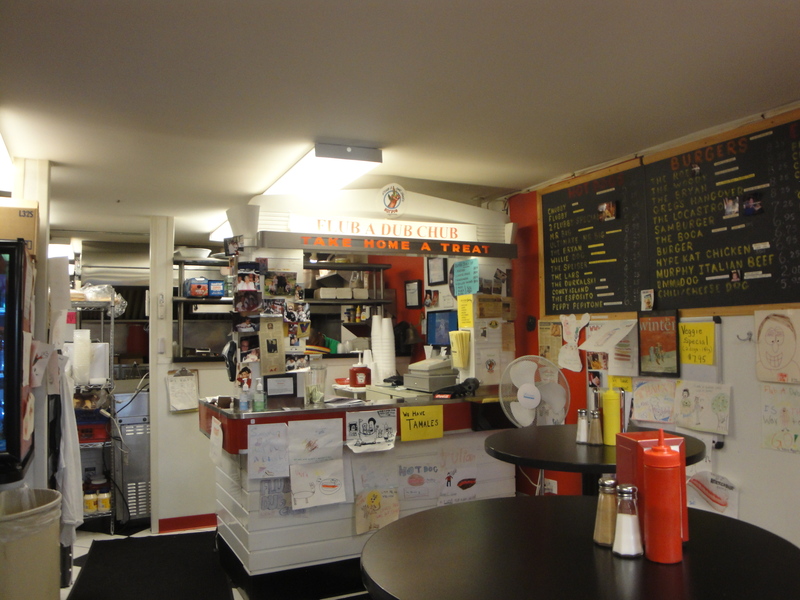 I will have to come back to try a hot dog on another day, perhaps the one on the menu described as “THE SPEISER – chili, cheese, and peppers (it gives you gas)” what an awesome advertisement for your food! 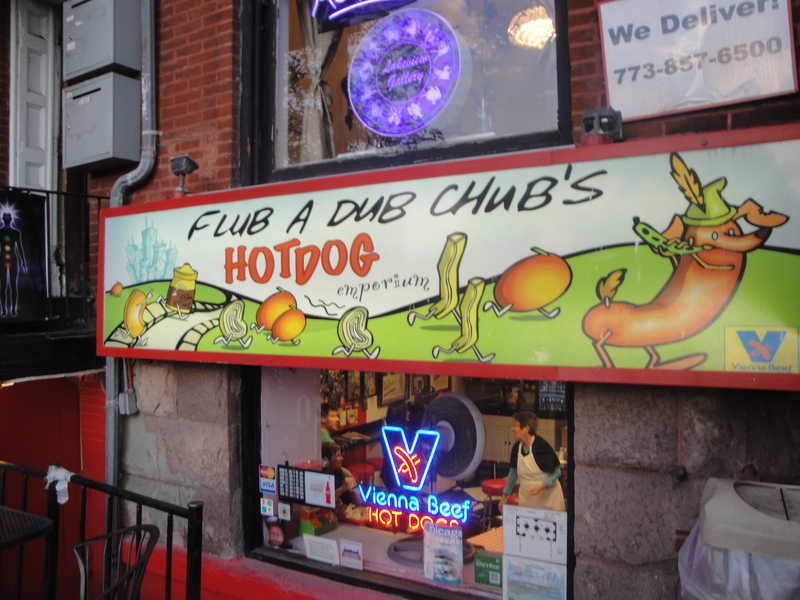 Flub a dub chubs is at 3021 N Broadway, about 10-15mins walk from the Wellington Brown line el station, walk towards the lake straight down Wellington until you hit North Broadway.